Right from the Esturine beach of Balaramgadi on the North to Chandipur in the South! 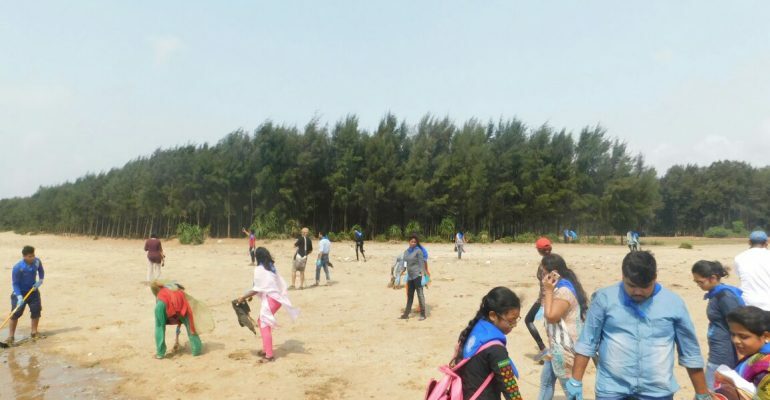 Students of the University guided by their professors hand in hand with the team ABC were actively involved in substantially cleaning the entire stretch of Beach, of about 4km length. Beginning in the morning, right up to 12 in the noon the volunteers carried on the activity tirelessly. Along with the cleaning, every care was taken for steps in Conservation of Horseshoe Crabs- the Living Fossil ! Many HSC as also few birds and animals were released who had bee. Trapped in the fishing net, shore stones and other waste material. The students got a beautiful exposure to the Biodiversity of the Costal Balasore along with practical lessons in Conservation from team ABC and the faculties of the University. This Programme was supported by Rufford Foundation, UK.